The recent wet weather did not dampen the excitement as 16 kakariki (yellow-crowned parakeet) were today released into the Abel Tasman National Park. A total of 54 kakariki have now been released into the Park by Project Janszoon and the Department of Conservation (DOC). Project Janszoon aviculturist Rosemary Vander Lee says the birds were transferred by helicopter to a purpose built aviary near Wainui Hut at the top of the Park 10 days ago. “Project Janszoon and volunteers have checked regularly on the birds during their time in the aviary and despite the stormy weather they did not seem fazed at all. They have been happy and relaxed and were all keen to fly to freedom when we opened the aviary today,” she says. This is the largest number of kakariki released at any one time into the Abel Tasman. 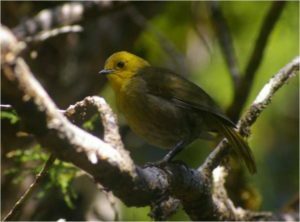 The birds were bred at four aviaries in the top of the South, Tui Nature Reserve Wildlife Trust in the outer Pelorus Sound, Lochmara Lodge in Queen Charlotte Sound, EcoWorld Aquarium in Picton and Nelson’s Natureland Wildlife Trust. Project Janszoon director Devon McLean says the breeding aviaries are doing great work towards revitalising the ecology of the Abel Tasman and he thanked them for their involvement. 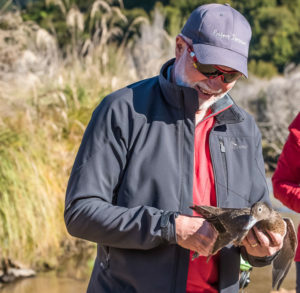 “This breeding project means we can continue to augment the kakariki population in the Park, and with the predator control we have introduced we know the kakariki population is growing. It used to be visitors to the top of the Park wondered if they would hear a kakariki, now they wonder how many they will hear,” he says. 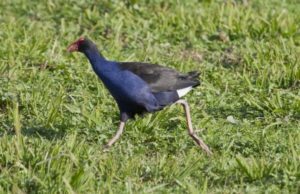 As part of its work Project Janszoon has also introduced kaka into the top of the Park and will next month bring back Pateke/brown teal to an area near the Awaroa Estuary.